There are expected to be only a handful of vulnerable Democratic-held U.S. House seats in the 2018 elections this November, and two of those happen to be in the same state – Minnesota. Seats in the open 1st and 8th Congressional Districts are universally rated as pure ‘toss-ups’ with Congressmen Tim Walz and Rick Nolan seeking the offices of governor and lieutenant governor respectively. The DFL, of course, is simultaneously looking to pick up GOP seats held by incumbents Jason Lewis and Erik Paulsen in the 2nd and 3rd CDs, in what could be a rare cycle in which both major parties flip seats in the state. However, if Democrats live up to prognosticator expectations and are able to net gains of two- to three-dozen (or more) seats nationally, are the prospects of GOP pick-ups in Minnesota off the table? Not necessarily, although history suggests the odds would be very slim. During the last 100+ years since the U.S. House reached 435 members in 1912, there have been 12 cycles during which Democrats netted 20 or more seats. 1932 (+97): Holding nine of 10 seats in the 72nd Congress, the GOP won only three of nine seats following reapportionment in 1932. Congressmen William Pittenger, William Nolan, Victor Christgau, Melvin Maas, Conrad Selvig, and August Andresen all lost reelection bids in a cycle where all nine seats were elected on a single, at-large ballot. Minnesota Republicans were able to tread water and did not lose any seats despite notable Democratic gains nationally in three of these 12 cycles: 1930 (+52 Democrats), 1964 (+37), and 2008 (+21) – holding their nine, four, and three state delegation seats respectively. In 1912, Democrats netted 61 seats nationally with the Republican Party fractured by Teddy Roosevelt at the top of the ticket for Progressive congressional nominees. Although the Minnesota GOP did not flip a seat that cycle, the party increased its delegation advantage from 8-1 after the 1910 election to 9-1 when the state added a seat after reapportionment. Gopher State Republicans handily won a (short-lived) newly created at-large seat with GOP attorney James Manahan cruising to a 30.2-point victory in the statewide race. The at-large seat was abolished after the 63rd Congress and a new 10-district map was created. That leaves just a single cycle over the last century during which Minnesota Republicans bucked the national map and flipped a Democratic-held U.S. House seat – although the circumstances were very unusual. In 1958’s 9th CD race, two-term DFLer Coya Knutson – the only woman elected to the chamber from Minnesota until Betty McCollum in 2000 – faced not only a challenge from state Representative Odin Langen but attacks from her own party and husband. Knutson, a state representative, had first roiled her party by running for Congress in 1954 (along with three other candidates) against party-endorsed former state legislator and 1952 nominee Curtiss Olson. Knutson won the primary with 45.1 percent of the vote – easily beating Olson by 20.2 points en route to unseating six-term Republican Harold Hagen that November. Two years later, Congresswoman Knutson ruffled more DFL feathers by serving as the state co-chair for Estes Kefauver during his 1956 presidential run. Kefauver defeated Adlai Stevenson by 13.6 points in the competitive March Minnesota primary. Knutson did not receive a primary challenger that cycle, but the party establishment ran a candidate against her in 1958 – Marvin Evenson. Knutson survived the convention endorsement and won the primary (with 56.2 percent) despite her husband famously campaigning against her to ‘come home’ (with implications that she had an inappropriate relationship with a staffer). Knutson lost the general election that November to Langen and was the only Democratic incumbent to be unseated by a Republican that cycle, losing by just 1.4 points. Barring any unusual intra-party (or spousal) drama following the selection of nominees in the 1st and 8th CDs this August, it seems that the DFL should be able to retain those open seats, assuming the national partisan tailwinds are as large as currently being forecast. 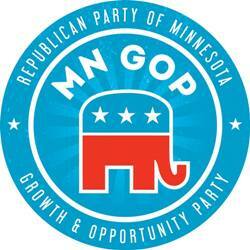 1 Comment on "Can the GOP Flip US House Seats in Minnesota if Democrats Make Big Gains Nationally?" Another “spousal drama” (in the same general terrain, no less): Independent Republican Arlan Ingahart Stangeland – a successor of “state (representative Odin) Langen” – whose predecessor, future US Ag Secretary Robert Selmer Bergland, defeated Odin in 1970, would famously lose his re-election bid in 1990 after revelations that the self-proclaimed family man was unfaithful to his wife, and that his extramarital adventure was at least partially financed by the taxpayers of his district (and elsewhere). Unlike the case of the Knutsons, no case of spousal abuse was alleged, committed by Stangeland against his wife, or vice versa.